I am completely and utterly ashamed of myself. Just a short while ago, I exploded with furious rage at my sister. The reason why I uncontrollably erupted is irrelevant. My actions were without merit. She, nor any other human being, deserves to be yelled at and berated in such a manner. My behavior is solely of my own choosing - no excuses. I am a monster. I always have been. I find myself circling back to the beginning of this very blog. There's a caged beast of frenzied indignation just fuming inside of me - shaking the bars of its cell, grabbing at any who come near. Like a rampaging gorilla locked in a prison, it sits inside of me and waits in the darkness. Waits for the right moment to strike. Waits to destroy. If ever there were a real life Bruce Banner / Hulk, it would be me. For years, I shielded my younger siblings from the anger erupting from my father. No one deserved to deal with such horror, but at least I was best-equipped to handle the beast and absorb the blows. Now, as an adult, I spew forth that same atrocious bitterness, often times upon the very ones I love the most. What's wrong with me? Did I not see what such gross negligence could lead to? Just as an idiot whom keeps touching a hot stove, I now tread the very ground I so desperately tried to avoid all those years ago. Am I doomed to become my father? No matter how much I struggle and squirm against the past, is there nothing I can do? Am I genetically predispositioned to morph into that which I came from? It's all just mind-boggling. And now... I'm left sitting here alone. I feel emotionally empty inside. Not angry or sad, just ashamed. 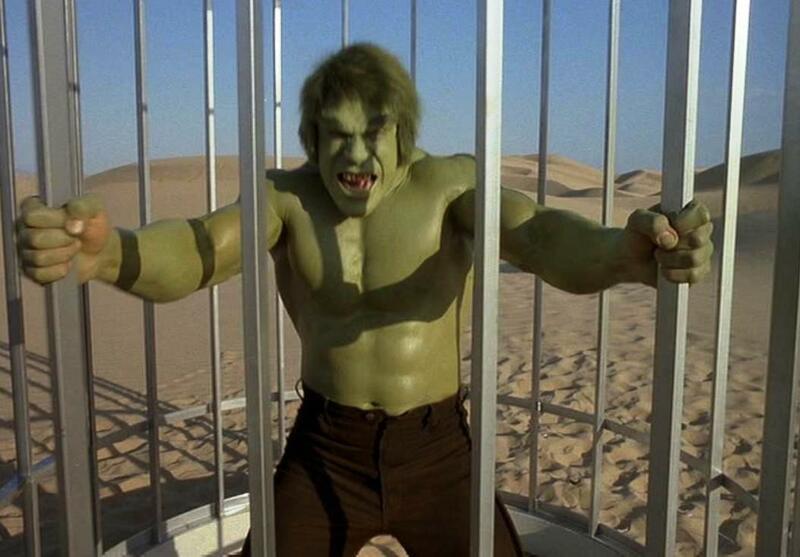 The Hulk has returned to his cage and I'm left to clean up the mess he made. I'm certain that I've done a better job of controlling my anger this past year. Yet, it seems that when the beast does manage to get out, the havoc is many times worse. This is a perfect execution of the quantity versus quality debate. Which is worse? More frequent outbursts of lesser severity? Or less frequent outbursts of greater severity? Either way, the balance remains unaltered. That anger is still inside of me. The underlying problem has not been fully corrected. I'm still on a course towards emotional oblivion. I really need to right this ship before it's too late. Julie... I'm sorry. You deserve better.